Dark Souls 3 is out: hooray! The port isn’t a total shambles that fails to run on any machine and requires literally years of fixes to be put into a playable state: double hooray! It has some crash bugs: boo. Not exactly surprising, but a shame anyway. Thankfully one of the most dedicated communities on the planet is already hard at work finding temporary fixes while, we hope, Bandai and FromSoft look into it. Here’s what they’ve got so far, and we’ll keep this updated as more info comes out. Note that there may be spoilers further in as we discuss specific problems. Getting on fine performance-wise, but dying a lot? 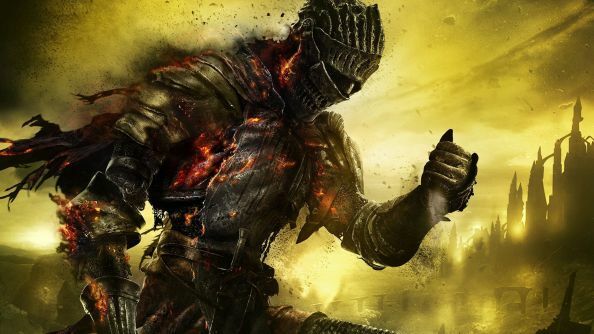 Try our Dark Souls 3 beginners guide. This seems to be the most common problem at time of writing, at least partially because it’s so early in the game. After defeating the first boss and gaining access to the bonfire, players are reporting serious instabilities. Moving towards, trying to use or otherwise paying attention to the bonfire will cause a game crash, rather impeding progress. There’s a couple of fixes. The best but least pretty is to set your Lighting to low in the graphics settings. This seems to remove all problems for most players, who have reported going much further through the game after switching over to low. It would suggest the issue is graphics card related, so it’s possible a driver update (your drivers are up to date, right?) will fix it in the near future. The other option, oddly, is picking the Knight class. This may seem unrelated, but experiments on Reddit have pointed to something about the default helmet preventing crashes. Assuming that the problems are lighting related, it could be anything from how the bonfire is coded to reflect off bald domes versus helmets, to it blocking some buggy effect from appearing altogether due to its exact shape. Either way, if you don’t want to turn your settings down, this should help. This isn’t so much a bug, or sadly a fix, as a PSA. From Software have sadly not enabled cloud saving via Steamworks, so if you’re planning on reformatting or changing PCs at any time soon, you’ll need to transfer them in the same way as the previous two games. It’s possible this could be fixed in a patch, so here’s hoping. In the mean time, your saves are stored here on your computer: C:\Users\\AppData\Roaming\DarkSoulsIII\ and can be copied around freely. Some users are reporting terrible, unplayable framerates on older Geforce cards. These are well below the minimum requirements of the game, but apparently you can get a solid 30-45 fps by using the 314.22 driver – released for Bioshock Infinite in 2013. Three years ago. You can grab it from the Geforce site. The relevant Steam discussion and Reddit comment threads so you don’t think I’ve totally lost it, with multiple users reporting it as a fix. Those having framerate issues on decent machines are advised to restart their PCs, which you’ve probably already tried. There’s rumours of a 1.1 patch coming today that gives a hefty boost, but it’s unverified and neither From Software or Bandai Namco have said anything about it. A few users trying to play with the Dual Shock 4 and Dual Shock 3 Playstation controllers have reported them not being recognised. The instructions here seem to work for most, involving ticking the hide controller option in the settings menu. It may also be worth trying one of several programs that emulate a 360 controller to trick the game into using its internal programming for that. I’ve used Motion In Joy before and been happy with it. Logitech controller users have also reported problems. Long-winded fix for that also available on Reddit. Hopefully getting people playing is a priority over at From Software, and as with most games on Windows, you might be best off shelling out for a 360 or One controller to avoid problems in the future. Having other problems? Let us know below and we’ll try to help out. Everyone else – get harvesting. Those souls won’t spend themselves.